A fact of the matter is that most people are faced with one danger that they never see; the danger of loosing keys. It could be the keys to your house, to your car, you your office, your garage, your animal houses or keys to your safe. Loosing your keys or faulty locks is such a likely thing to happen any time and with a lot of consequences thereafter. The day you loose your keys will be the day you remember the services of locksmiths. This is because even your friends or family are less likely to help it here because devising other keys is a tricky art not handled by anyone. Also, most doors, whether car doors or house doors are very hard to break into. Incase you manage to break into; you will be faced with another expense of repairing the whole door or the whole lock system. However, for residence of Adelaide, there is a remedy. 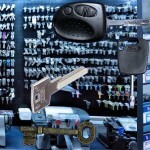 Portlocksmiths is a popular provider of keys and locks services in this city. You should trust the experts working for this company because they are skilled specialists at devising door locks and keys of any kind. The best thing with this company is that they offer mobile locksmith services. Whenever you call them with keys and locks emergency, they will come to you armed with all the necessary tools and they will see you out of that predicament in the shortest time possible. Whether it is new keys that you want or its changing you locks to upgrade them to another more modern and secure lock system, they are adept at all that. All the experts employed at this company have vast experience in this service. Apart from having the technical knowhow on handling keys and locks, they also demonstrate very impressive business skills. They handle their clients very well, with great courtesy while understanding that it is a dangerous and risky situation they are in when they cannot gain access to premises due to lack of keys. They therefore take it so serious that you need help as fast as possible and they go ahead to do so. The epitome of their quality services is however on affordability. Even as anyone might be wondering how such great service can cost, of a wonder is that its utmost quality at least costs. You will not need to call locksmiths again in future claiming that the locks were not done well. They ensure that they do a thorough job and you can trust them to bring this service right to your doorstep today in Adelaide.